What to do with the liquid left from braising artichokes? That was yesterdays question. We use our horseradish consomme to braise the artichokes and then marinate them in it. Yet, when we serve the artichokes we usually discard the broth. That was until yesterday. Actually, we have used the broth as part of a vinaigrette, though we have not done so recently. 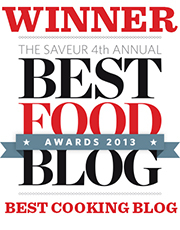 The question was voiced about how to best utilize the artichoke and horseradish broth. It is packed full of flavor and needs to be utilized. While in liquid form the artichoke broth is tasty we wanted to serve it solid. We wanted to dice artichokes. We contemplated making a gel which we could dice like a tuna tartar though we opted for a larger cut, a macedon, which we could use as an element in a salad. Then we figured since we were gelling anyway, why not make it a hot gel so we could serve it hot or cold. 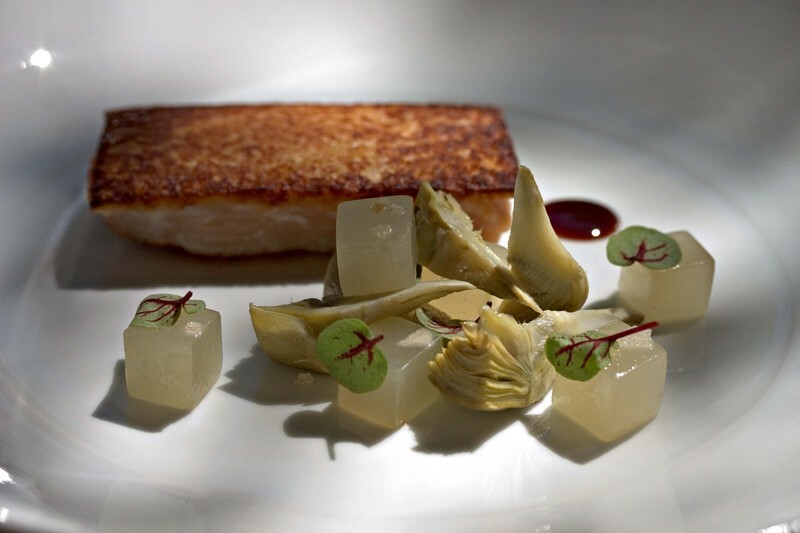 We made a hot gel from the artichoke broth and paired it with the braised artichokes and our trout crusted in bread. The dish is really simple and quite fun since we can serve all the components of our braised artichokes, nicely diced.